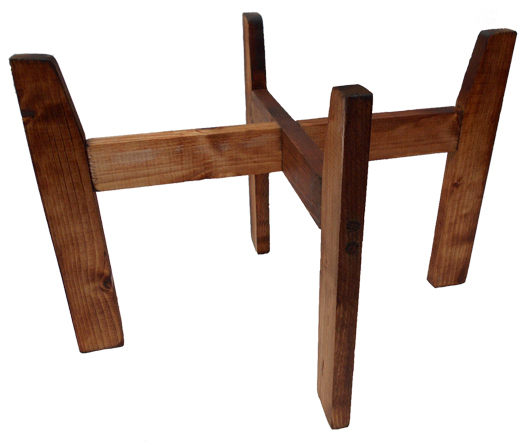 Made by a local Suffolk craftsman, this wooden stand is suitable for holding our larger plaited top edge wicker shopping baskets (77-1110 / 77-2110). Approx external dimension of stand are 47 x 38 x 30cm high. Each stand is delivered flat, ready to assemble. No tools needed - just slot one piece onto the other. Stands are natural wood, with just a little oil coating to prevent finger marks being left, ensuring a wipe clean finish. PLEASE NOTE - BASKETS NOT INCLUDED.